The vibrant little seaport town of Collioure is nestled on the Mediterranean coast, just north of the Spanish border, in the area known as French Catalonia. 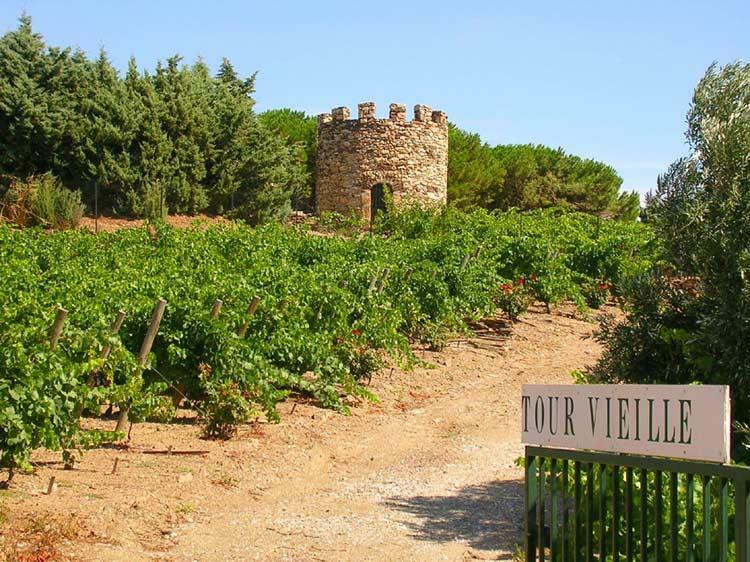 In 1981, Vincent Cantié and Christine Campadieu took over two small, family-owned domaines where they had grown up, in Collioure and Banyuls, respectively. Together, they farm vineyards planted on steep, schist terraces overlooking the sea, where they are constantly exposed to the fierce and wily wind known as "La Tramontagne." This constant wind not only ensures naturally low yields, but also keeps the grapes free of mildew with little need for pesticides or copper sulfate. Their vineyards are so steep that cultivation must be by hand, and extensive irrigation canals and walls (all made from the schist rock) are their only prevention against soil erosion, although there is almost no soil left to recede! These canals snake down the hillsides, separating the parcels. At harvest, the grapes are carried up and down the mountain in baskets. This method of farming, while extremely challenging, preserves the traditions of their ancestors. Such ideals have inspired two documentaries, Wine From the Heart by Yasha Aginsky (2002), and a short film sponsored by Project NOÉ for the defense of the European viticultural heritage.